INSTANTION is a section dedicated to instant analog photography. The name of this section combines the words instant and station, or as we call it, a place for instant photography. 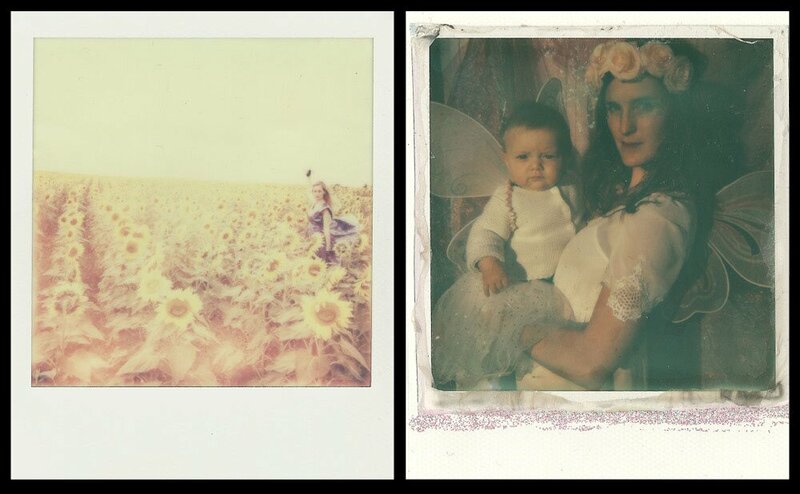 Instant photography refers to any photographic process that allows photo development without the darkroom. Instant photography was developed in the 1930s by Edwin Land, founder of the Polaroid Corporation. Because of its popularity, most of the photographers in this section use Polaroid film, but artists using Impossible or Fuji instant film are certainly welcome. “Instant photography” (or “Polaroid photography”, a term often used as a synonym, after the company that commercially manufactured the instant photography materials and cameras) refers to photographic process invented by Edwin H. Land (1909-1991), which was able to “… produce a finished positive print, directly from camera, immediately after exposure.” In 1947, Edwin Land demonstrated his one-step instant camera and film at a meeting of the Optical Society of America. Less than two years later, in November 1948, the Polaroid Camera Model 95 and Type 40 Land film were on sale in USA, as the first commercially produced instant photography system. The real innovation of Land’s system was that it represented the first entirely contained self-processing system. As the exposed Land film was pulled from the camera, it was pressed between a pair of steel rollers. The rollers ruptured a ‘‘reagent pod’’ of developing chemicals and spread them between the negative and positive layers. This initiated a diffusion transfer process (developing both negative and positive images simultaneously) and stabilized the image. In less than one minute the negative layer could be peeled away and discarded leaving a richly detailed finished positive print.The first Polaroid instant film materials were black and white, and during the 1950s, the Polaroid company developed faster versions of black-and-white films, positive-negative and high-contrast films for professional use, and transparencies. In 1963, however, they introduced Polacolor instant color films, and in 1972 came another breakthrough: a true “absolute one-step photography” with the Polaroid SX-70 camera and its integral instant film in the 3¼” × 4¼” format, which is nowadays almost a synonym for instant photography, particularly in its creative and artistic applications. The Polaroid SX-70 camera was a technological breakthrough in its own right: it remains a unique design to this day, and a later model (SX-70 Sonar OneStep, 1978) was also the first autofocus SLR camera, using the Polaroid Sonar AF system. Polaroid instant film was manufactured by Kodak from 1963 to 1969, when Polaroid started making its own film. After the success of Polaroid’s SX-70 camera and its integral film, Kodak launched its own version in 1976, but was sued by Polaroid for patent infringement, and had to stop its instant film production in 1986. Another instant film manufacturer is Fujifilm: unlike Polaroid and Kodak, at the time of this writing (2011), it still makes instant film materials in the form of pack film in various formats and integral films (Instax series and ACE series materials). After the closing of the Polaroid film factories in 2008, Florian Kaps, an Austrian entrepreneur and Polaroid enthusiast, and André Bosman, until then the engineering manager of the Polaroid plant in Enschede, The Netherlands, decided to find a way to bring back the Polaroid photography. 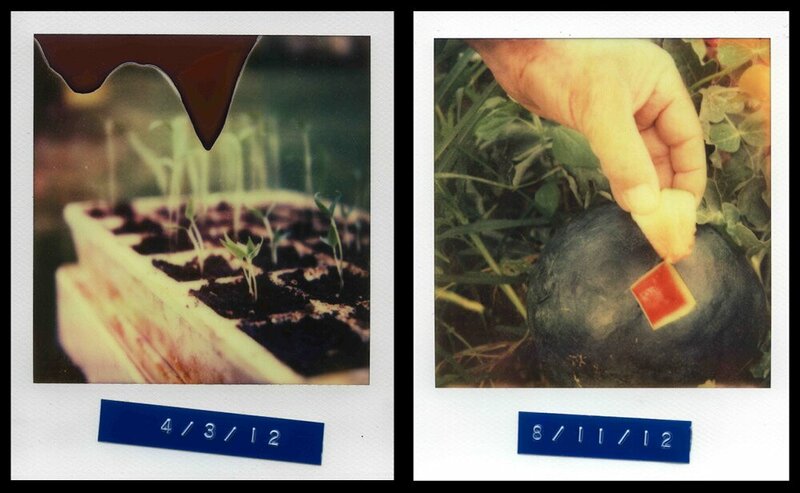 They started the Impossible Project with the goal of continuing the production of instant film. In 2010 the Impossible Project introduced its first new instant films: first black and white, and then a new color materal. Nowadays the only available instant film material comes from Fujifilm, and, to a much lesser degree, from Impossible Project. However, a group called New55project annunced in 2010 that it will try to produce a high quality instant material in 4×5 and 8×10 sizes, similar to Polaroid’s long discontinued Type 55 P/N film. Land, Edwin H. “A New One-step Photographic Process”, Journal of the Optical Society of America, 37, no. 2 (1947). Encyclopedia of Twentieth-Century Photography, Lynne Warren Ed., New York, Routledge/Taylor & Francis Group, (2006). “I began shooting large format in 2002, and this is when I first began to use Polaroid Type-55 film. This film has characteristics that are interesting to me. One of these characteristics being the positive’s delicate and transient nature. I found that if I did not coat the resulting positive with hardening fixer, it would decompose in completely unpredictable ways." “My love lies in the world of film. I began experimenting with an old family SLR from the 70s, and I cherished every bit of it. The fact that the photos would exist in a physical form after development was enthralling to me. With each new roll of film being shot, my curiosity grew larger." With the availabilty of the first new Impossible Instant Film, Impossible is now in the honorable position to support and cooperate with all the contemporary photographers and artists whose work is based on the magic of analog Instant Photography. Starting with the very first packs of testfilm of the new PX Silver Shade material, Impossible invited several carefully selected photographers and artists worldwide to utilize the new materials and to discover its potential and capabilities - and to therewith start building The Impossible Collection: a new archive of contemporary Instant Photography artworks. Furthermore, the supporters of The Impossible Project recently placed a binding offer to purchase the International Polaroid Collection, located in the Musée de l‘Elysée, Lausanne. Impossible‘s intention is not only to preserve and protect this unique collection from being sold in parts, but also to re-open and expand it by providing the new Impossible film materials to contemporary artists. That’s me, my partner André Bosman, former production manager of Polaroid and now executive director for development and production, Marwan Saba, non-executive director of finance & legal - and most important our team of the most experienced Integral Film experts worldwide. 9 former workers of Polaroid in Enschede (NL) are developing the new film with us. When I think about it, I know that is one of the best photo things that ever happened to me. From the moment when, with a specific buzz, it finds its way through the tiny passage in the camera, which kind of spits it on my palm, and I watch it as some kind of miracle, fading in gently. And I admire it for being so beautiful at all stages of the development, changing its density, colors and contrasts and then becomes something else. So human-like. Polaroid is being born, it comes to be, it fades, it dies. His three year old daughter Jennifer asked why she could not see the photograph just after being taken. Land decided to please children’s curiosity and started considering many options while walking for an hour in Santa Fe. 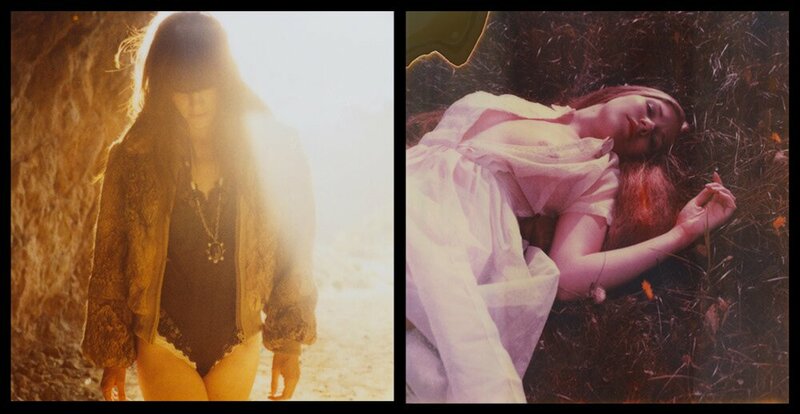 Hazy veil spread over Polaroid images captures the moment. It seems that memories are stronger with Polaroids. Ivan Zidar was born in Pula, Croatia, in 1978. During high school he volunteered in production of Radio Pula programme. Between 1996 and 1998, he worked for Croatian TV studio in Pula and, since 2001, he has been in new media production. He is the owner of an agency for video production, graphic design and event management. During the last couple of years he produced numerous documentaries, promotional or experimental movies out of which the most recent one was shown in 18th Croatian Film Days. He mostly explores photography using Polaroid lenses.